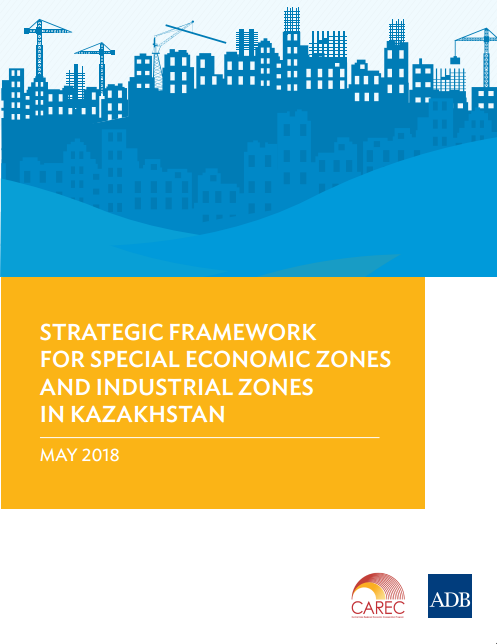 Special economic zones and industrial zones in Kazakhstan have met with limited success. Previous studies have revealed gaps in their planning and development. This strategic framework therefore places the zones at the center as drivers of industrialization, while viewing the role of private entrepreneurship as fundamental to the zone-induced growth process. The framework involves six pillars for integrating special economic zones and industrial zones: (i) using a cluster development program with a mix of bottom–up and top–down approaches; (ii) improving their attractiveness to increase investment linked to global value chains; (iii) promoting spillovers from investment linked to global value chains; (iv) forming regional value chains and cross-border value chains; (v) developing a sound implementation strategy; and (vi) establishing a sound monitoring and evaluation framework.